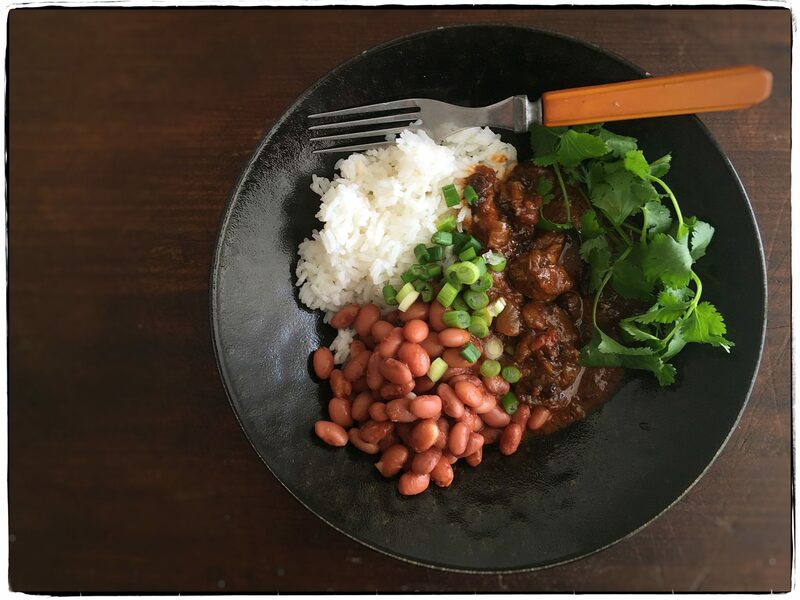 To weather this weekend’s weather, we made a big pot of chili with pork and beef, and dried currants to add a little depth and sweetness. And we also made a pot of pink beans. Outside we’d all go, to shovel and shovel, inside we’d come and inhale another bowl of this fiery stew. We finished the last bowls today at the studio for lunch, stretching it with scoops of white rice which softened the chili’s heat. Winter has arrived.